The kids are excited about visiting Star City again this or next weekend. 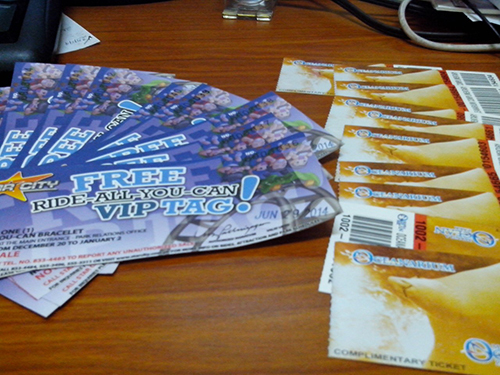 Dad got another set of complimentary tickets from the office. We haven’t gone to any place last Christmas to treat the kids, so Dad decided to reserve a few tickets. It will be a day of fun. The kids would surely enjoy the rides. I’m just as excited as them. No work on that day. Weee! This entry was posted in Family, Outdoor Activity and tagged day out with kids, fun ride, outdoor activity with the family on January 31, 2014 by Yami.